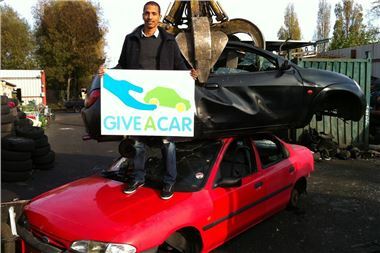 Giveacar is a charity that takes away people's old cars, then donates the proceeds from disposal or scrapping to the charity of the donpr's choice. Giveacar has now started an epetition to the government calling for a widening of tax relief to include assets like cars <http://epetitions.direct.gov.uk/petitions/30886> . At the moment, individual tax relief on giving to UK charities is largely limited to land and shares - assets that are comparatively easier for the wealthy to donate over low and middle income earners. Gift Aid, while a great incentive for charities to encourage supporters to donate, does not do much for bolstering an ordinary individual's reasons to donate in tough economic times, and we think that's wrong, and wasting a lot of potential for encouraging charitable donation. For a true 'Big Society', charitable donation is going to have to be more widespread than ever before, and more interwoven with the fabric of society as well. Relieving tax for an individual donating his or her assets is one way of doing this.